Provide comfort for the family of James "Jim" Emanuelson with a meaningful gesture of sympathy. 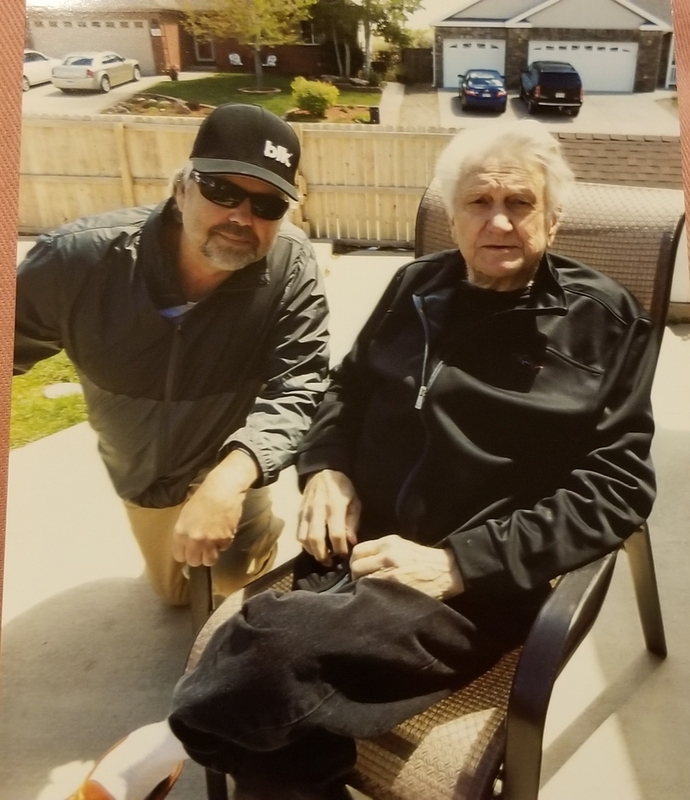 James “Jim” Emanuelson, 82, of Greeley, passed away on March 31, 2019, in Greeley, with loving family by his side. Jim was born in Drayton, ND to Carl & Mabel (Oxnavad) Emanuelson on April 28, 1936. On May 28, 1976 in North Dakota, Jim married the love of his life, Leona (Johnson) Emanuelson. Jim was a loving husband, father, grandfather, minister and friend. A very humble, kind man to everyone he met. His love for Jehovah and the truth were a big aspect of his life. Jim was a Master Electrician. His greatest accomplishment in work was being a journeyman foreman over several Rain Forest Cafes. Even though Jim was once a sheep rancher, his favorite job was working for Kellogg’s where he got free boxes of cereal on Fridays. He loved eating. His favorite foods were steak, eggs, bacon and diet coke. If you ask any family or friend your general consensus of Jim, it would be that he was a fun-loving, tender hearted man. He was a man who worked with his hands creating masterful, one-of-a-kind pieces with wood and other materials. His last project was a old prairie wagon. You can still see it today if you were to visit his Florida home, that he considered his paradise and inspired his art. Though he had a homestead, he was a man who loved traveling and having many experiences with good people. His singing of songs, such as Dang Me by Roger Miller, will be greatly missed and his loud “I love you’s” will forever be engraved in our hearts. Comments from his wife of 43 years: Jim is a wonderful man, whom I love so dearly. He would say to me- “Stop buying so we can travel with the children during their school break”. His desire was always that the children could have a great summer vacation. Taking them on many adventures in the motor home. He taught them about love, honesty and heartfelt appreciation for life. Even during the past few years he would, while at his sickest, continue to say “thank you” to caregivers, nurses, and doctors. He was the most grateful for his family. I knew even on his death bed how much I was loved by him- forever and always. Jim is survived by his wife; 6 children; 16 grandchildren; 13 great-grandchildren; and 1 great-great-grandchild; 1 sister; and a large loving extended family. He was preceded in death by his 2 children; 2 brothers; and parents. To send flowers in memory of James "Jim" Robert Emanuelson, please visit our Heartfelt Sympathies Store. Provide comfort for the family of James "Jim" Robert Emanuelson by sending flowers. The standout memory of grandpa for me was waking up early, every morning, to him singing "good morning, to you! Good morning, to you! Were you born in a zoo?! "; with breakfast started, every time. Even though I was young, he would give me black coffee with my breakfast. Which is still the way I take it. Two eggs, buttered toast, coffee black. Till this day I still gauge a man from one to grandpa Jim. He lived his life his own way. Did a lot of great things and truly, never expected anything in return. He was ahead of his time, a great dresser, and had a unique unwavering humor - that he kept even faced with death. Always loved, never forgotten. I’m so sorry for Jim’s passing. I knew Jim for about 33 years and during that time he was always good to me and treated me as Family right away. He was usually in a good mood and his unique sense of humor was always on. Towards the end of his life he enjoyed the simple things like a Diet Coke and Dairy Queen. It was my pleasure to bring him his last Hot Fudge Sundae before he passed... Jim will be missed by all who knew him and especially by Leona his wife and all of his children, and Grand Children. I hope that “on the other side” that he is granted what he hoped for and believed in Spiritually. He suffered for many years with heart problems and dementia in the last few, and deserves his Reward! God’s Speed Jim!